Welcome to Day #6 of Chocolate and Honey Theme Week. 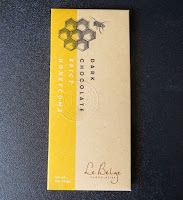 Today's Dark Chocolate Spicy Honeycomb bar was created by Le Belge Chocolatier (Napa, CA), located in the heart of Northern California wine country. The company is known primarily for their chocolate truffle collection(s). 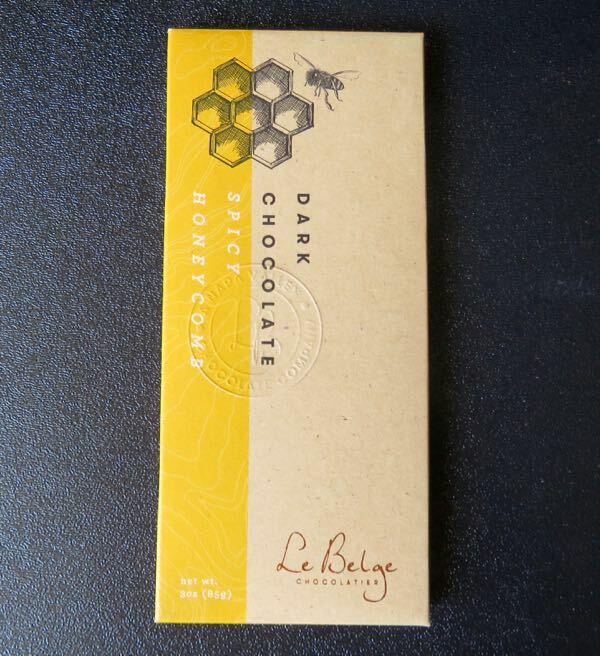 This interesting and appealing dark chocolate bar was peppered with tiny crunchy toffee and honeycomb bits, and was suffused with a subtle, saucy hint of chipotle chili powder.